US President Donald Trump said on Wednesday that ISIS will be “gone by tonight,” in an announcement he made on the White House South Lawn ahead of a visit to Ohio. 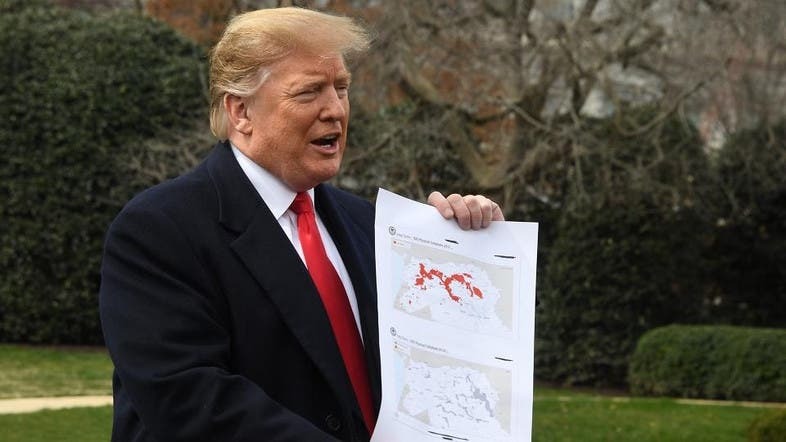 Trump held up two maps showing the difference between lands that belonged to ISIS in 2016’s election night versus the lands of the so-called “caliphate” today. He added that Washington will keep around 400 troops in the north east of Syria.